The Dow Jones Industrial Average and S&P 500 are both 4 percent away from their all-time highs. The Nasdaq Composite is trading about 5.5 percent away from its record. However, the main catalysts that led stocks to this point — declining worries over China trade and Fed monetary policy — have largely been priced in. Meanwhile, the economic data have been mixed at best. 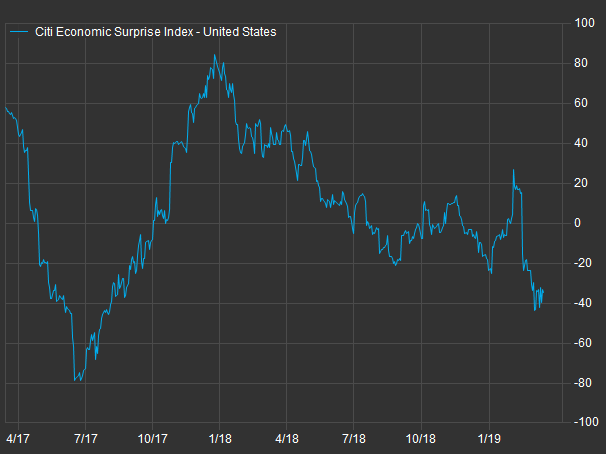 The National Federation of Independent Business’ small-business optimism index, meanwhile, remained near its lowest levels since the 2016 election in February despite inching higher. Is Bitcoin Price Drop Inevitable?